Improve transparency and smallholder profitability through data collection management and analytics. 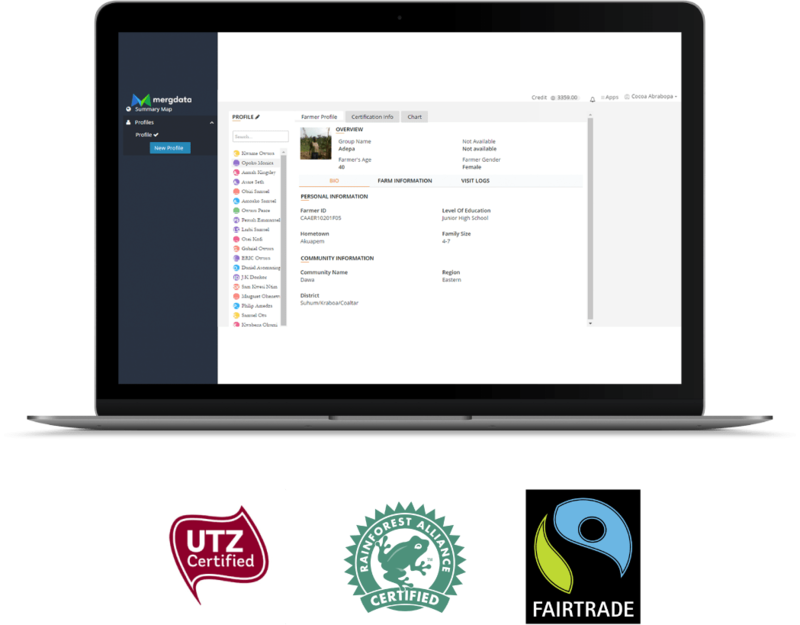 Audit more farmers for UTZ, Fairtrade, and Rainforest Alliance certification in less time. Use survey data and reports to drive decision-making. Work with your supply chain to conduct field monitoring, farmer profiling, and farm mapping.